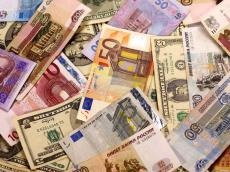 At the end of last week, the official exchange rate of manat against euro, set by CBA, decreased by 0.0017 manats or 0.1 percent. Accordingly, the average AZN/EUR rate was 1.92795 manats. The official exchange rate of manat to Russian ruble, set by CBA, decreased by 0.0001 manats or 0.4 percent. The official exchange rate of manat to Turkish lira, set by CBA, increased by 0.0009 manats or 0.3 percent. Accordingly, the average AZN/TRY rate was 0.3117 manats. March 20-26 are non-working days in Azerbaijan on the occasion of the Novruz holiday, and in this regard, the exchange rate of manat against other currencies wasn’t formed.